Kenneth Abbott, son of James and Alice Abbott, husband of Peggy Abbott. 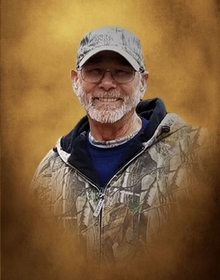 Kenneth Ray Abbott, age 69, of Summerville, GA passed away Sunday, April 08, 2018 at Northside Hospital Cherokee. He attended the First Baptist Holly Springs and was a board member of Shoal Creek Hunting Club. He was an avid hunter and fisherman. He was a race fan and enjoyed four wheelers, farming and gardening. Funeral services are scheduled for 1:00 PM, on Wednesday, April 11, 2018, from the Chapel of South Canton Funeral Home with Pastor Phillip Young officiating. Interment will follow at Old Macedonia Cemetery. The family will receive friends from 5:00 PM to 9:00 PM, Tuesday, April 10, 2018, and from 9:00 AM to 1:00 PM, Wednesday, April 11, 2018 at South Canton Funeral Home.